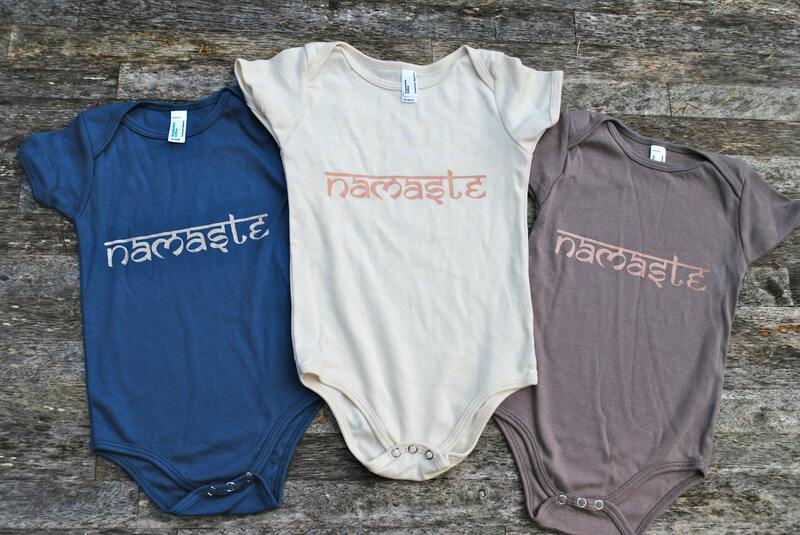 The bodysuit reads "Namaste" in the front and "The light in me honors the light in you" with a small OM sign in the back. 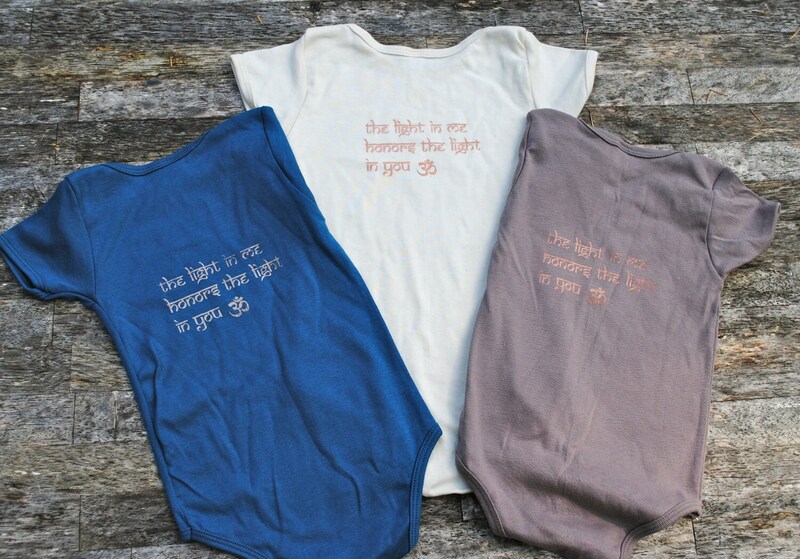 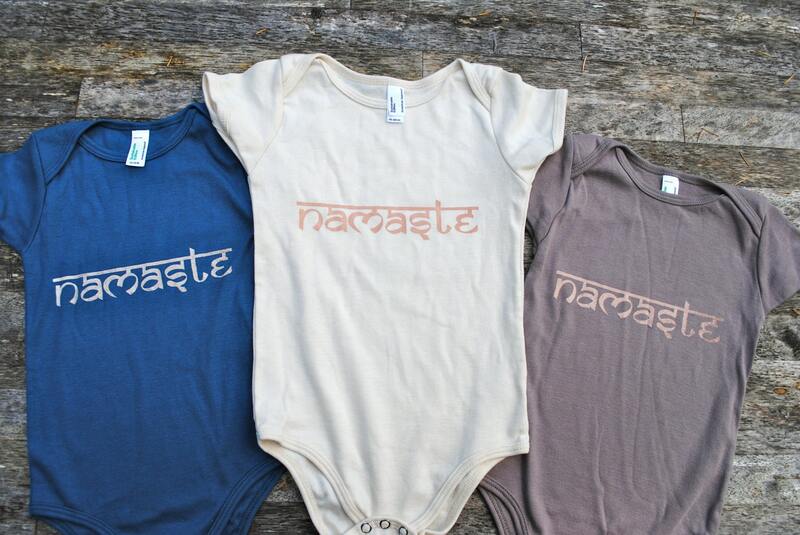 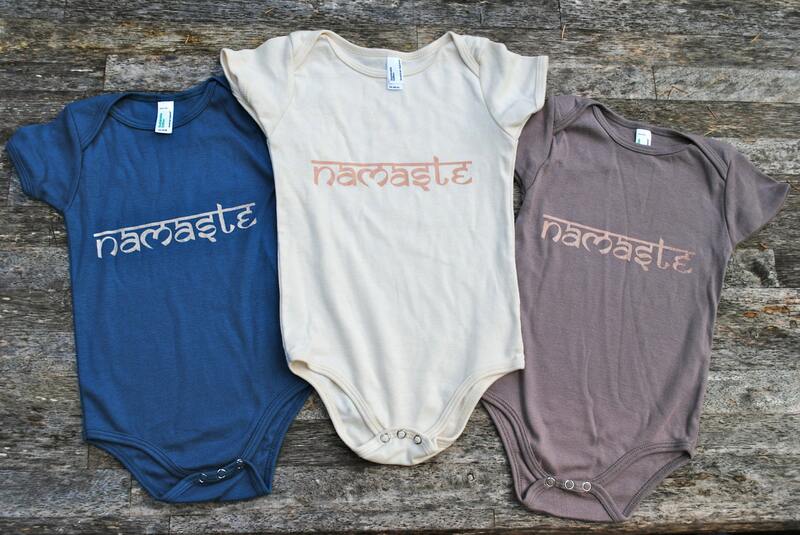 It is printed using water soluble, eco-friendly inks on American Apparel 100% Organic cotton onesies. 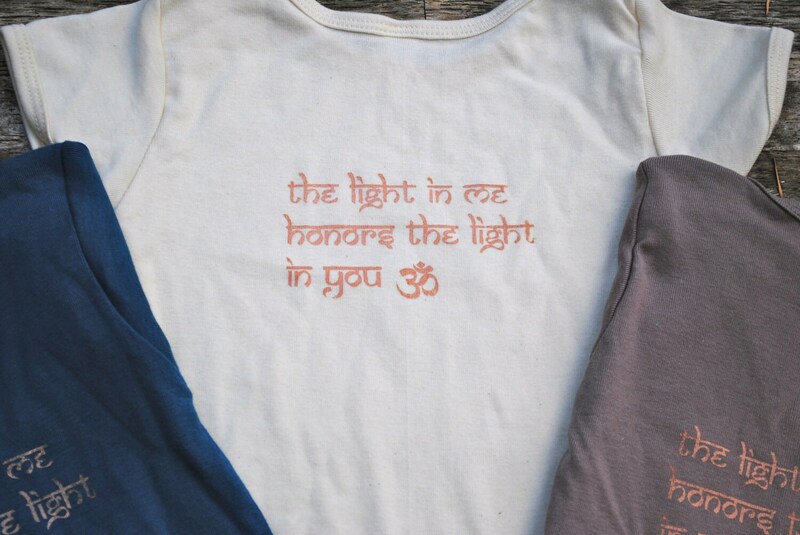 American Apparel is made in USA and sweat-shop free.